THE FREE AND INDEPENDENT exploration of the world’s most remote corners is a lifelong vision harboured by many. Daniela and Stephan Wirths in Saalfelden, Austria, offer the solutions to make this dream come true. Together with 13 employees, the two owners of the company Action Mobil build exclusive all-wheel motor homes on MAN chassis – the perfect vehicle for adventurers and world travellers.Each and every truck is manufactured strictly to order, ranging from a modest two-axle vehicle with a basic configuration, up to a 12-metre-long luxury wheeler with 540 hp, floor heating and even an integrated garage for a compact car. “The quality and re-liability of the undercarriage plays an important and, literally, carrying role,” says Stephan Wirths. “In terms of a body built by Action Mobil, the chassis must be a perfect match, meeting very high standards. Neither the mechanics nor the electronics of vehicles on an MAN basis have ever disappointed us.”The Wirths team is especially proud that their conversions have passed the stringent testing processes of MAN’s production team and are therefore MAN-certified. 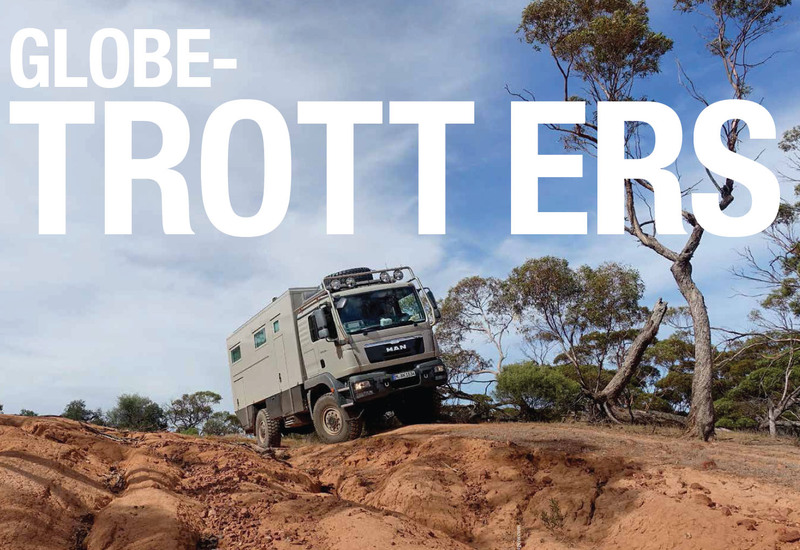 This distinc-tion is also appreciated by customers such as Tina and Jakob Haeusgen, who are currently touring Australia on board their expedition vehicle, “Aloisius”: “This is already our second MAN and we have always been very happy with the durability of the frames, the design and the driving comfort. The international dealership and service network was also a decisive factor – for safety comes first,” recounts Jakob Haeusgen. The Action Mobil with an MAN TGM 18.340 4x4 BB chassis was “always our biggest dream, for it’s tantamount to high-quality workmanship, innovation and many decades of experience,” raves Haeusgen.